Cast: Helen Mirren, Michael Sheen, James Cromwell, Helen McRory, Alex Jennings, Sylvia Sims. Story: Queen Elizabeth's personal life around the death of Diana. The Queen delves behind the scenes of the royal family's crisis, both personal and political, surrounding the death of Princess Diana. Besides being largely guesswork, it manages to be highly entertaining. Although pretending to be a feature-length documentary, it's far from that - playing on the public stereotypes of each member of our ruling family, to the extent that Philip (Babe's farmer James Cromwell) and the Queen Mother (Sylvia Sims) are practically Spitting Image puppets. Charles is demonised as some kind of scheming saboteur while Tony Blair is presented as a saviour, a moral lighthouse of wisdom - well, he's a politician, what else could he be? This artistic propaganda is truly unforgivable and should have made me hate the movie, but I ended up warming to it, because of the magnificent central performance by Helen Mirren. 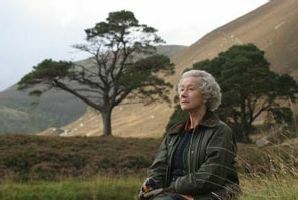 Portraying the monarch as a tough but shrewd and sensitive island, Mirren looks spookily like the real thing whilst adding personal touches of her own, adding up to a hugely watchable star turn that transcends the crassness of its context. Next to her, all the other players seem to be mucking about, particularly Michael Sheen's Joker-like Tony Blair. 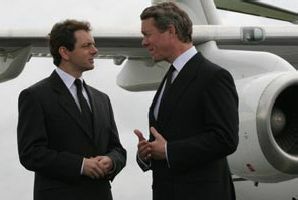 In fact, if it wasn't for the elegance of Helen Mirren, the movie would sit right at home at Sunday night on ITV, with an audience of Daily Mail readers, which is all the more surprising when you consider that the director Stephen Frears is also responsible for the classic Dangerous Liaisons and last year's amiable Mrs Henderson Presents. And is he gently poking fun at The Royle Family or is that an ironic accident? We'll never know. The Queen is really quite shabby televisual entertainment, but it's hugely watchable purely for the magic of Helen Mirren. In the same way as Capote, the central performance defines the film, and it's well worth seeing for that alone. Space for a statuette on your mantelpiece, Helen? To enjoy this film you should be: vaguely interested. The Queen was released in the UK on 15th September.